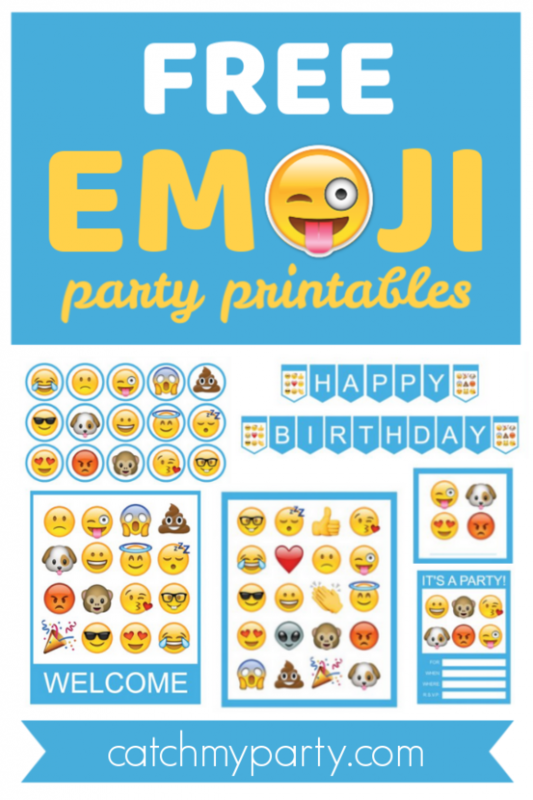 Emoji parties are getting very popular on our site, especially among teen girls. I'm not even a teen girl and I use emojis daily in emails and on Instagram! They're fun, expressive and very of-the-moment. 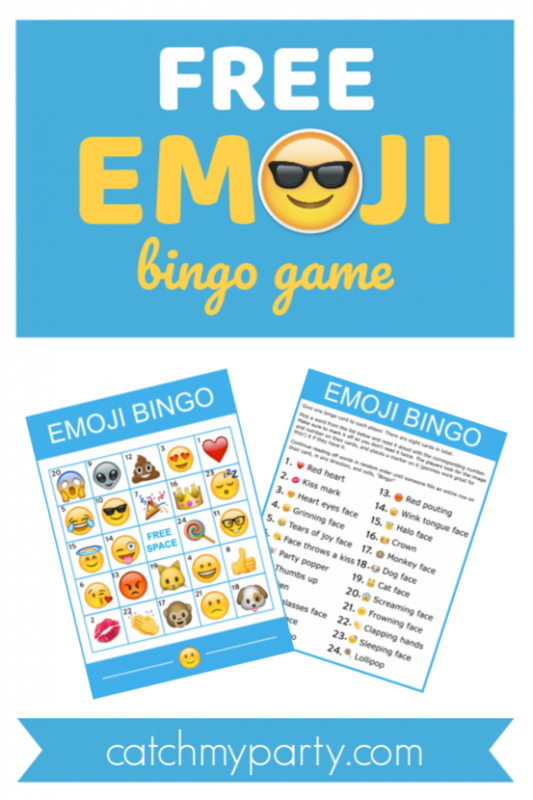 Which is why I'm super excited to be giving away these free emoji party printables for you to use at your own emoji parties! Emoji Instagram Party and More! Hope you're having a great long holiday weekend! We just back from seeing family in San Francisco. We had a nice time and it was an absolutely beautiful day! There were some incredible parties added to our site this week, including an awesome Emoji Instagram Party that has the cutest poop cupcake (seriously!.